Desert Lake has been having quite a time of it! I’ve been very proud of this book, not only because it took seven years to write (! ), but because Liz Anelli’s illustrations are so magical that it’s like walking around with an art exhibition in your hand. 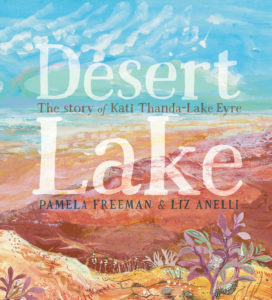 Desert Lake has won the Australian Standing Orders Librarians’ Choice (Non-Fiction) Award. This is very dear to my heart, as librarians really know their books! And to be chosen by them is a great accolade. It was shortlisted for the NSW Premier’s Literary Awards (Patricia Wrightson Award), which was won by Leanne Hall for the wonderful Iris and the Tiger. 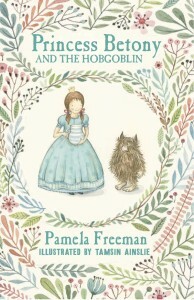 And now it’s been shortlisted for the Environment Award for Children’s Literature (Non-Fiction) by the Wilderness Society. 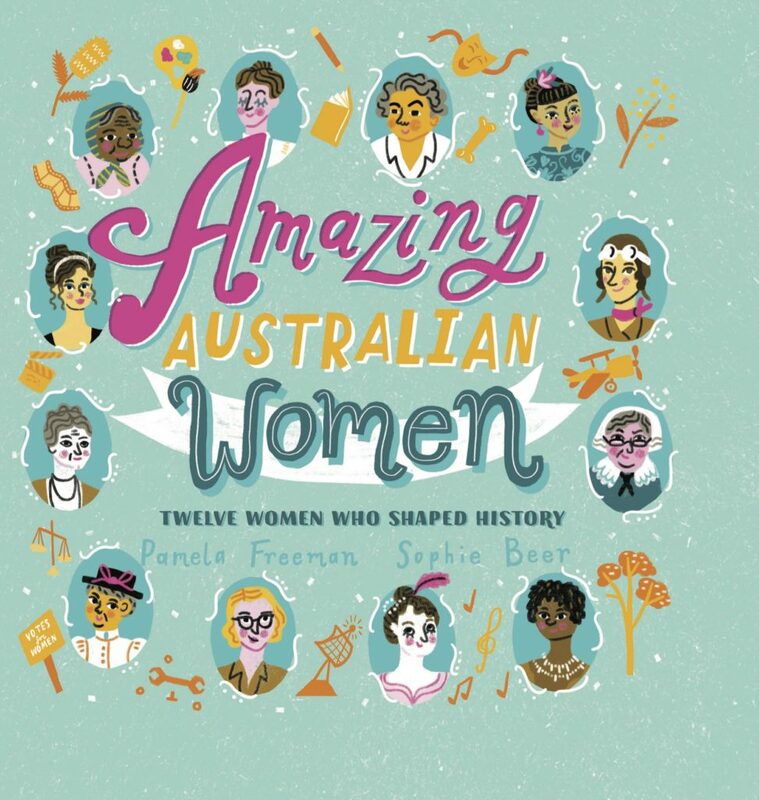 It was also a Notable Book in two categories from the Children’s Book Council of Australia. But the best news of all – it’s going to be a Big Book – and I mean that quite literally! Very few picture books are chosen by publishers to be enlarged for group reading (where the teacher sits with the Big Book at the front and the class read it together). This is my 25th children’s book, and I’ve never had a Big Book before! I’m so excited I can’t tell you! So keep an eye open for it in August, teachers, librarians and pre-schools. Liz Anelli’s illustrations look even better when they’re Big! 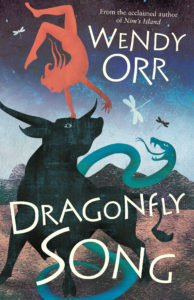 I don’t normally talk about other people’s books on this blog, but I have to let you know about Wendy Orr’s new book – Dragonfly Song. 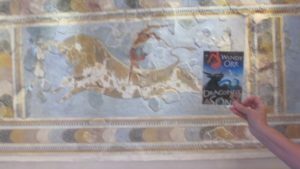 It’s set in Minoan Crete, and it’s a life work for Wendy, who is one of my favourite writers. Wendy has been kind enough to write about the research she did for the book on my Pamela Hart website (I write for adults as Pamela Hart). Have a look at it here. I just can’t wait for everyone to read this book! 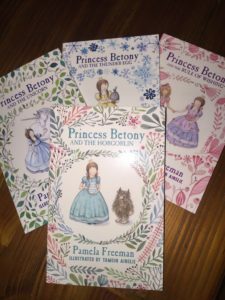 Here are the paperback versions of the first three Betony books – and the new one, Princess Betony and the Hobgoblin. Aren’t they beautiful? I was saying to my husband today that I think the Hobgoblin story may be the best so far. It’s always tremendously exciting to receive the advance copy of a new book. There’s nothing like holding it in your hands and knowing that it’s real – at last! This is particularly true of illustrated books, where there can be a long time between writing the book and receiving the printed copy. So today I did my happy dance, opened the parcel up right there in the post office and showed them around. People were very nice and encouraging and not one person suggested I might be a little odd! All four of these are out in July. Here is the cover of the new Princess Betony book, out in July! Isn’t it gorgeous? I’m very happy to say that the first three Princess Betony books will be released in paperback in July 2016, and they’ll be joined by a fourth: Princess Betony and The Hobgoblin! Many thanks to Walker Books Australia for their support of this series. 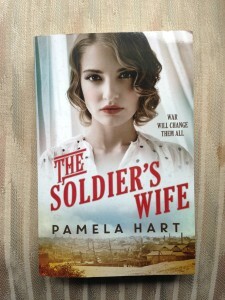 Yesterday I received my advance copy of The Soldier’s Wife. The actual book. Here it is. I’d had an ARC (advanced reading copy/proof copy) for a couple of months, and it was exciting to get that. But it wasn’t the Real Thing. I was so excited and happy to take the Real Thing out of its wrappings and clasp it to my heaving bosom. There may even have been a tear in my eye. I did The Happy Dance. For a long time, because this book, although my 28th, feels like it’s my first. It’s a new genre, a new audience and therefore a big risk for me. There’d been various bumps along the road, too, so I am particularly pleased to see it all come to fruition (available 28th April, just saying). But this big emotional reaction got me to thinking about The Book. The first time I ever received an advance copy, it was for my first children’s book, The Willow Tree’s Daughter. I was living alone at the time, and I had no one to show it to. That was what I wanted more than anything else – to show it off. (Naturally, yesterday I got on Facebook and Twitter immediately, but in those long ago days, the interwebs weren’t very webby). I rang everyone I knew. It was a Thursday night, and for some unknowable reason, everyone I knew was out. Everyone. Even my parents, who never went out on a weeknight! I felt so buoyed up, so full of something greater than I was, and overwhelmingly grateful, so I decided that I should go to St Mary’s Cathedral and, effectively, show God and say Thank You. So, being a Sydney girl, I went to St Mary’s Cathedral. By the time I got there, though, it was shut. So there I was, standing outside the barred gates to paradise, with a book in my hand and nowhere to go, still floating and filled with a sense of being uplifted, out of my normal life. I went to The Gap. If you’re from Sydney, you’re probably laughing now, because The Gap is where people go to kill themselves by flinging themselves off a cliff onto the rocks below. You might think, not the place to go to be grateful. But it’s an extraordinary place, as fierce and untamed as you can get in a city, and it was a wild, windy night, so I went to The Gap and stared out at the darkness and felt the salt spray on my face and put all the huge, buoyant excitement into the night and the ocean, because they were big enough to take it. And the thought that was so big it needed Nature or God to envelope it was: I was an author. What I mostly thought was: There it is. It is a book. A real book,with my name on it. I am an author and no one can ever take that away. Twenty-seven books later, I still feel the same way, about every book. A mixture of pride, amazement, gratitude and excitement (and maybe a touch of hubris). And I’m kind of ashamed to admit it, but I suspect I would’t be as excited by an e-book. My publishing contacts say that e-books have plateaued at around 25% of sales. But some books, notably mid-list romance and speculative fiction novels, will only be published as e-books, as the readers of those genres have enthusiastically taken to e-readers. So possibly, if I continue to write fantasy as well as historical fiction (and I will, I’m pretty sure), it may be that book number, say, 35, will be an e-book. Now, I’ve been heard to say to my students that I don’t care if people buy the hard copy of my book or the digitial version, and that’s true. What I want is readers. Lots and lots of readers! And I get paid as much – or more – for the e-book. I’m coming to realise that what I really mean is: I don’t care which they choose as long as they have a choice. As long as I have that book to hold in my hand, to clutch to my heaving bosom, to put on my shelf. I’m not saying that signing a contract for an e-book wouldn’t be satisfying or exciting. It would be. But I doubt that I’ll ever be driven to The Gap by a download, even if it’s got a great cover. Now, the odd thing is – I prefer to read digitally. Especially fantasy and science fiction. Yep, I’m one of those people who’ve pushed hard copy books out of that genre. So I’d like to say ‘Sorry’ to any author who gets an e-book only contract. Really sorry. And I hope you get as much excitement out of seeing your book up on Amazon as I do getting a hard copy in my hand. As the date approaches for the publication of The Soldier’s Wife, I’ve been talking about it – sometimes officially, in interviews, and sometimes informally, with people that I meet (yes, including some shameless self-promotion). What has struck me in these conversations or the comments I get online is how many families still have connections back to World War I, as this story shows. Grandparents, great-grandparents of Anglo-Celtic Australians; yes, so much you might expect. 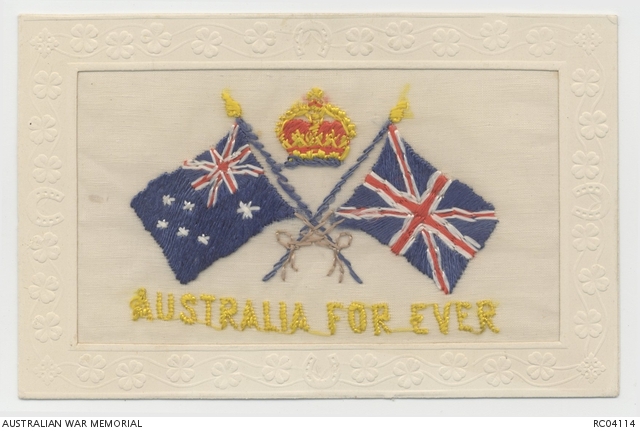 The Anglo people talk about having had family at Gallipolli, the Somme, at Ypres… whether it’s Australian or British ancestors, most people from English-speaking background will have some family connection. This is even truer in England, where I visited recently, because the UK had conscription in WWI, while Australia did not. Some of the stories are funny. Some are heart-breaking. Quite often they start with ‘My family came out to Australia after the war…’ It was a big shaking up, that war. It showed ordinary people what the other side of the world looked like. Travel seemed less impossible to the poor than it had in the past. Horizons were bigger; foreigners less foreign. Returning soldiers talked, if they talked at all, of the places they’d been and the fun they’d had – because returning soldiers lied, or skipped over the truth, about the horror they’d seen, just as they had in their letters while the war was running. And during the years they were away, their families had maps up on the wall in the kitchen or the parlour, with pins stuck into the places their loved one had been or might be. They followed the news about battles and retreats and advances, and plotted them on the family atlas. Or they joined the Red Cross and knitted scarves and socks and mittens, and thought in detail about the climate of places they had barely known existed before the war, just so they could use the right weight of wool, and put extra thickness in the toe of the socks. Before WWI, people had lived very insular lives, unless they were traders or sailors or diplomats. Afterwards, although they may have returned to their home towns, or welcomed their soldier boys back home, they had a different world view. In simple terms, they knew more about the world than they had. In complex terms, they had left parts of their hearts and minds ‘Over There’, and the more adventurous left home and family behind for more exploration and adventure. And many of those chose to come to a place which seemed as though it hadn’t been touched by war. Those with memories of freezing in the fields of France sought out the sunshine of the Antipodes, and the sense of freedom which came with it. 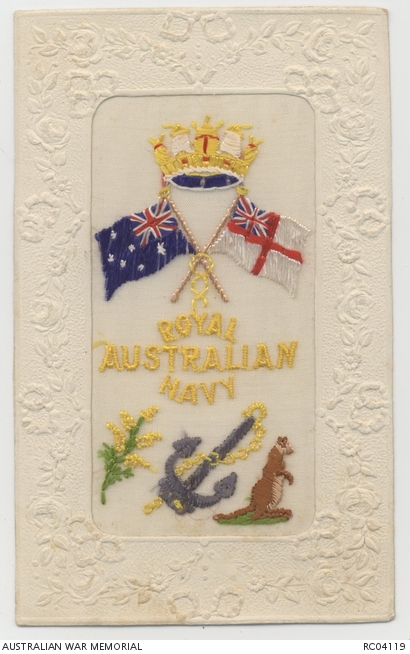 Our connections to WWI reach a very long way, and I suspect modern Australia would look very different if it hadn’t happened. Follow Pamela on Twitter at @pamelahartbooks. The men were supposed to cross out the ones which did not apply. 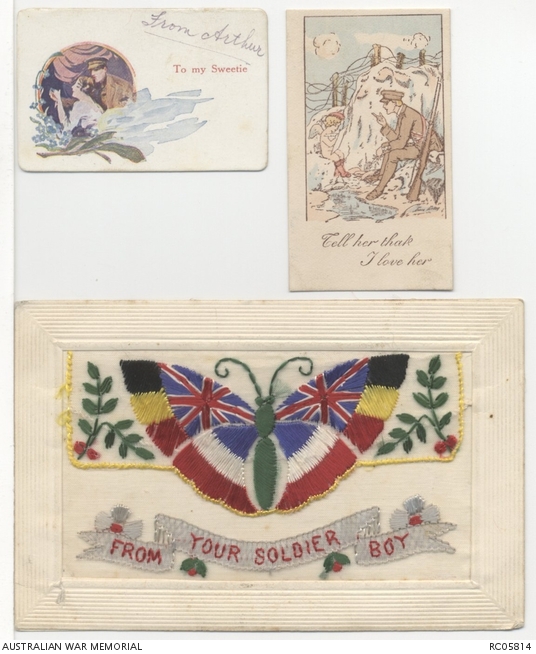 Imagine being a wife or mother or father or friend who received one of these postcards – especially since, quite often, the men only had pencils to fill them out with, so the words showed through the crossing out. Imagine reading ‘I am well,’ with the ghosts of other possibilities there… wounded, sick… and the unwritten, unwriteable, the ever present, dead. And instead of letters, which perhaps would say too much, when they were on leave in France the men sought out other postcards, made by local or refugee women – a ‘home’ industry which sprang up out of nowhere during the war. French and Belgium women in refugee camps embroidered strips of silk, which were then sent to a factory, cut up and inserted into the cards. There was a wide range of designs, with motifs based on the homelands of their customers*. When I look at these, I think of the women who made them, resilient under terrible conditions, finding a way to support their families amid death and destruction. I think of the men who bought them, wanting to send a symbol of their love in a way which would lift their loved ones’ hearts. And I think of the (mostly) women who received them and the tears and smiles the cards would have provoked. 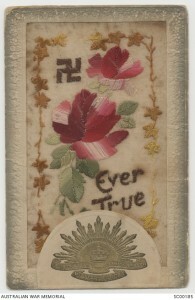 The catalogue says this came from ‘France, 1914-1918’. And I know my grandfather wasn’t in France – he was shipped home from Cairo after being wounded at Gallipoli. But still… there was an Arthur, just like him, a young man thinking about and longing for his girl. Scroll down to the bottom of the page and you will find links to the images of the cards. How much of history can you make up? This morning I was listening to Books and Arts Daily – Michael Cathcart was talking to Elizabeth Gilbert, author of The Signature of All Things, a historical novel. They were talking about how Hilary Mantell, the author of Wolf Hall, has been criticised by some historians for giving her characters actual conversations which are not recorded by history. Obviously Michael Cathcart and his guest agreed that, if you’re going to write a novel, you have to do this. But how much trouble should you go to, to make sure that the history, rather than the conversations, are accurate? One argument is that you have a responsibility to both reader and historical subject to make it accurate. Certainly, as I was growing up, I gleaned a lot of my history from novels by Jean Plaidy and Mary Renault. This was a responsibility I felt keenly with my first historical novel, The Black Dress. Since the main character was Mary MacKillop, who was not only a major historical figure abut about to become a saint, I was conscious that, for many of my readers, my book was the first thing they might have read about her, and could colour all subsequent attitudes. I felt deeply – well, scared. I researched for 18 months before I dared begin, and then kept researching throughout the five major rewrites I did before I sent it to a publisher. And I had it read by the subject experts – the Sisters of St Joseph. It was the hardest book I’ve ever written. But with my next historical novel, The Soldier’s Wife, there was only one real person in it – my grandfather, whose war record I used to map out the career of my main character’s husband – the ‘soldier’ of the title. I never knew my grandfather, and that gave me some freedom to imagine him based on the stories I had heard. Other than that, how closely did I have to stick to history? Pretty damn close. My soldier was an ANZAC (Australian and New Zealand Army Corp); he was wounded at Gallipoli. And the Anzac legend is so revered and alive in Australasia that I again felt a great responsibility to get it right. I doubt that responsibility will ever go away. I’m not comfortable with playing fast and loose with history in order to have a cleverer story. Better to take what really happened and build the story from there, because it’s all fascinating, and if you pick the right characters, you can build a story which will have all the excitement, interest, tension and emotion you could wish for. Of course, everything I write is my take on history – my interpretation will be different from someone else’s, inevitably. But the facts can be true. And the ‘feel’ should be as true to your research as you can make it. Elizabeth Gilbert said to Michael Cathcart, ‘The original contract with art is to delight’, and I couldn’t agree more. To delight with your interpretation of the truth is even better. And if you don’t like my interpretation? Well, that’s the great thing about fiction – you can write your own!